The FR10 is a lightweight, full range, flat response cabinet aimed at users of compact modelling amplifiers, such as the Line6 Helix, Fractal AX8 and Kemper "toaster". Featuring a 10" bass driver and a 1" compression driver, the FR10 delivers a clean, powerful sound from a comapct and lightweight cab. A 300w built-in, 2 channel, fanless power amplifier drives the cab, whilst a full function digital signal processor provides equalisation and time alignment for the drivers meaning the sound is very flat and neutral with no colouration coming from the speaker itself. Comprehensive limiters protect the drivers if the amp reaches it's limit and a simple illuminated push-button switch enebles you to switch between the 3 modes of the DSP, namely "flat" "loudness correction" and "bass cut" modes. An audible beep lets you know which mode is active. In-built limit detection causes the LED to flash rapidly if the amplifer limits are exceeded. 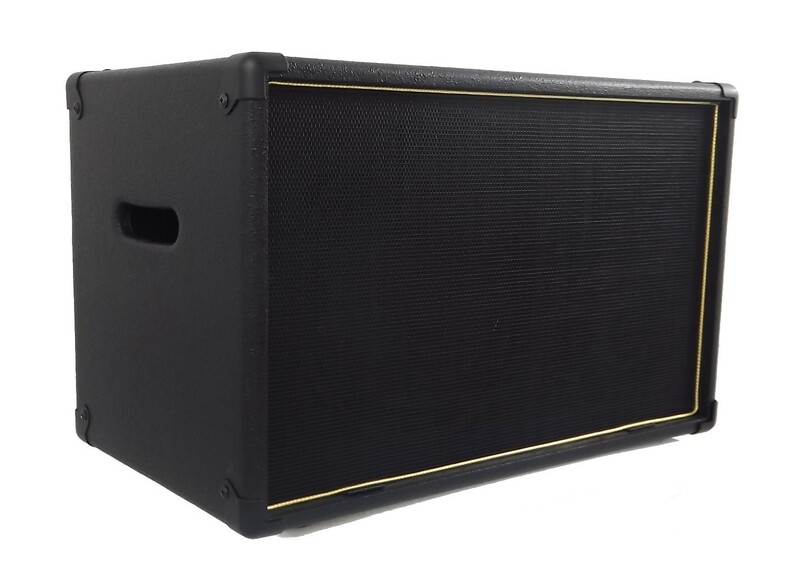 The cabinet is built from lightweight tonewoods the same as our popular Neolight cabs and we use high quality neodymium drivers to further keep the weight of the cabinet down. The FR10 is a powerful and compact solution that can be used at home, in the practice room or on stage to release the true potential of the latest generation of digital amp modeliing equipment.